Last fall the Farm Direct Coop and Grant’s Family Farm arranged to come together on an adventure that is our 2016 pastured egg share. 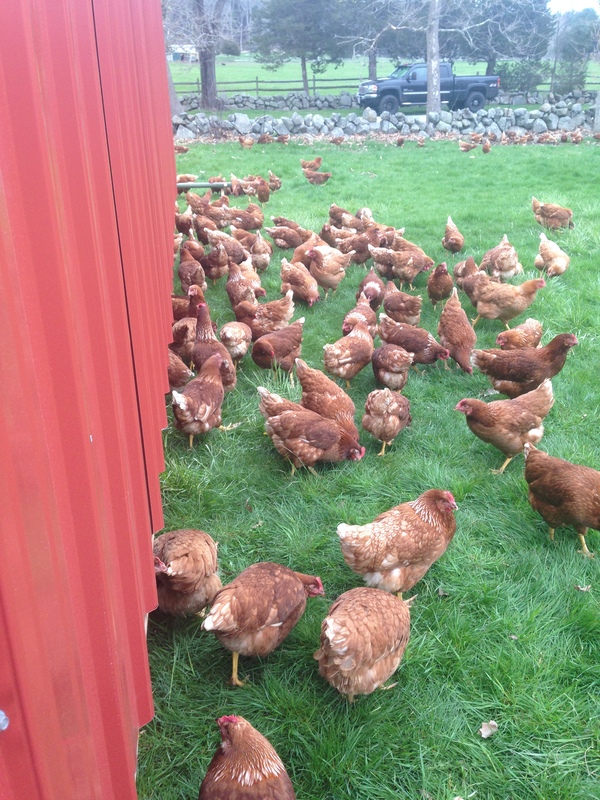 The eggs will be lovingly laid by organically fed, pastured hens who now reside in Essex, Ma. The chicken’s journey began at Moyer’s Chicks in Quakertown, PA where they were purchased as chicks and delivered by truck up to Chris Grant’s Farm in Essex, MA. Chicks in the northern states are typically raised in spring. However, Chris heard of some old school chicken farmers in Connecticut raising chicks into teenagers over the winter using a large, airy barn with lots of natural light. Here they learn to scratch, peck, take dust baths, and do all the things chickens like to do so off the chicks went to winter in CT. About two months ago the heartier, teenage chickens were transported from CT, arriving right into our last snowstorm. They were still too young to go outside in the cold, though the older hens in another flock were happy to stay outside in the snow. Chris and his brother built a sizable, portable hen house with wood and metal frame, wire grate floor, and a translucent plastic roof that acts like skylights. A large, covered barrel inside holds the source for the drip water feeders. These are similar to small animal water bottles but with much smaller spouts. Gravity fed, chicken activated. 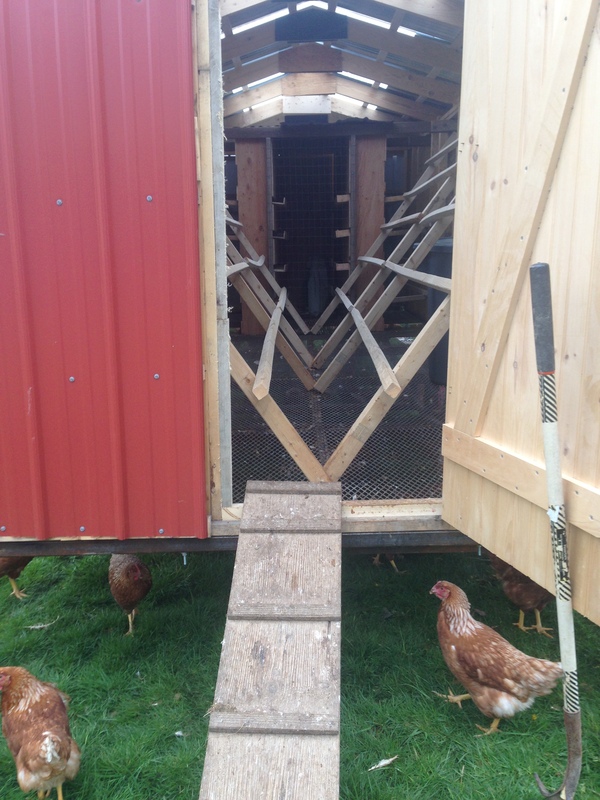 Inside are perches for 350 of the hens to roost at night. All told there are about 1200 birds. Approximately 500 are dedicating their ovarian efforts to the FDC. 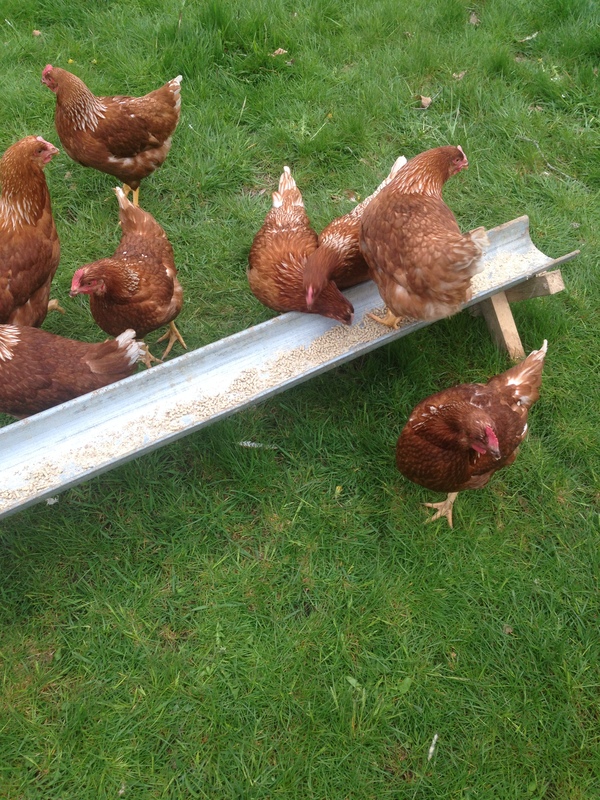 The hens have plenty of access to run in the fields now and fed organic, supplemental feed made in VT. A small, galvanized metal trough of feed was half full when I visited on a Tuesday at 10 am. 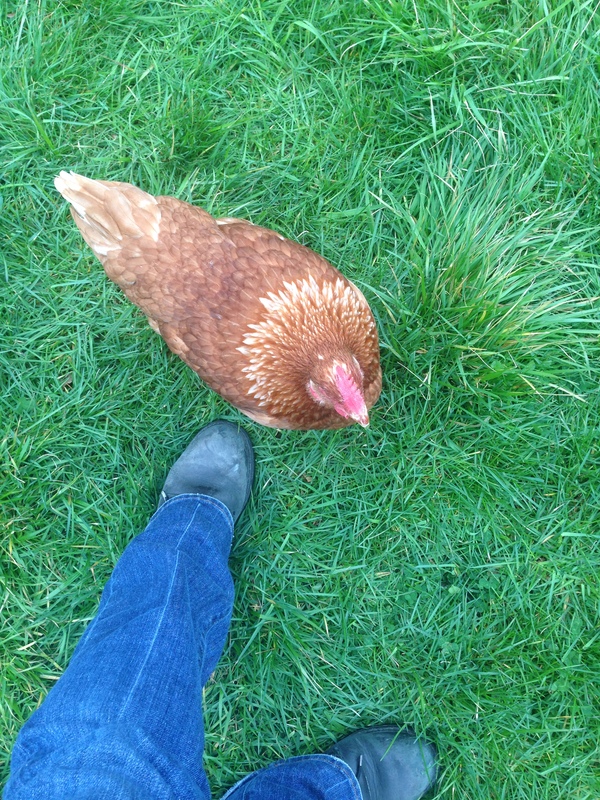 The hens were clucking, roaming, flapping, and pecking the occasional human. Chickens are quirky. Eggs are collected three times per day. The brooding boxes are of Amish design, with a small 1.25-inch slope for the egg to roll down for collection behind the boxes. If the eggs are dry, they are brushed off, if they are muddy or in need of a deeper cleaning they are immersed in warm water and gently cleaned. The eggs are then refrigerated, transported to Marblehead, put into coolers, and sent to your depot location for pick up. The eggs in the share will have no chance of being laid more than four or five days before we receive them. Fresh eggs are good for about a month. If we can coax the hens, we may occasionally have wiggle room to bring a few extra dozen to each depot. Today Chris uses plain, unmarked cardboard egg cartons. He really, really appreciates having his cartons returned. However, he will not reuse cartons from other farms or stores. I know this is different than years past, but we won’t take egg cartons from stores or other farms. Chris is considering buying reusable plastic cartons. We may pilot a program to help Chris figure out if it is a sustainable model. Should we test the plastic cartons, they would be labeled with his farm name and marked ‘nest run’ (ungraded). The visit was fun and informative. I am so excited to be embarking on the relationship with Grant’s Family Farm. GFF can be found at the Marblehead, Gloucester and Salem Farmer’s Markets this season. This entry was posted in Farm Stories and tagged egg share, FDC, Grant's Family Farm, pastured hens, raising chicks over winter by Jennifer Moore. Bookmark the permalink.